We all have mountains to climb and Dubvocaliza has climbed over many barriers. Our music is different to the norm and therefore we have had to stand firm and keep the belief in our music and originality and not conform to what is labelled the mainstream. I think that releasing a single is a good idea as some fans might just like a particular song. However I personally like the idea of releasing the whole album which I think displays the ultimate work of a band’s creation. There shouldn’t be a clash between singles and albums, they both have their place . However I find that we have more singles downloads on our websites more than albums although we market the album more. a let down for genuine talented bands and musicians. Business has taken over the music and so it’s not music business any more but business music and therefore creativity and talent counts for nothing in this business. When applied to opportunities, you get the same generic reply from all of them, ” We have to make tough choices” when you know that most of them doesn’t even look at your application in the first place to give a honest response. I think that the people who listens to your music are the greatest judges and not an individual who might not like your sound and decides for the masses of people what is best for them to hear. 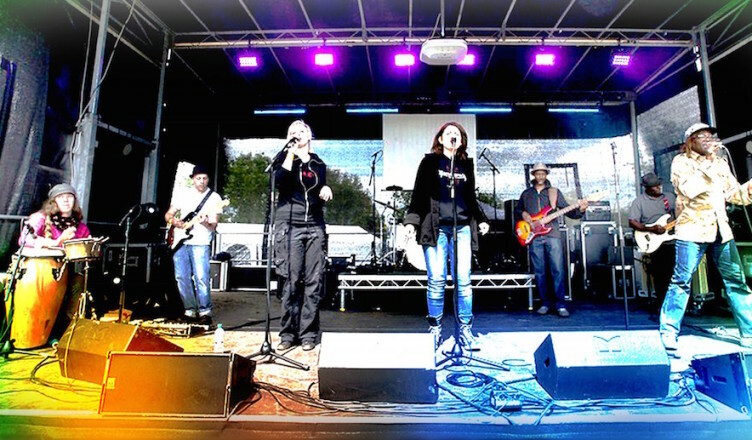 Dubvocaliza overcomes these pitfalls by been independent , We concentrate mostly on playing live at music festivals and venues.We market our music on our websites and sell our merchandise and CD’S at music festivals and events. I personally believe that one can find success in different ways. I don’t think that I have to have lots of material gains to be successful . If I achieve fulfillment and happiness in the things that I pursuit then that is success for me. 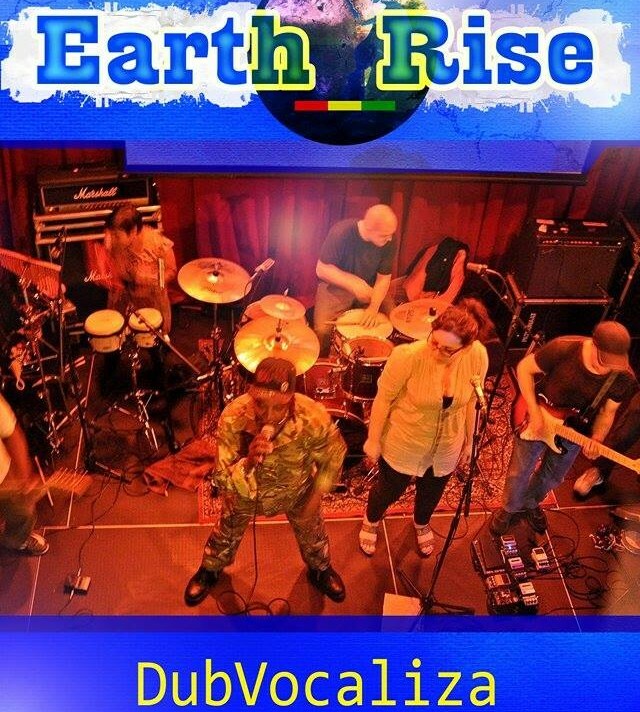 I started Dubvocaliza band in 2004 and didn’t think that we could’ve climbed the heights that we have climbed so far. The concept and core of the band has stood the test of time, playing countless music festival and venues throughout the UK and Europe. We have progressed steadily over the years and has become a positive musical force. We have recorded six albums to date and and still going strong with enthusiasm and motivation. I am very proud of Dubvocaliza music band and what we have achieved, it is a great success for me to see our dreams turned into reality. This was all achieved through hard work and dedication to our ideals. I crave happiness and will always strive to be happy but my overall goals for the band is to be recognized for the music we make , to play at the biggest music festivals in the world and to win a Reggae music Grammy award. (1) I challenge myself with my writing , I write new songs and melodies everyday and keep the interest of the band. (2) I challenge myself with organizing the functions of the band and getting good results. (3) I challenge myself each day with networking and promoting the band and keeping us at the forefront. 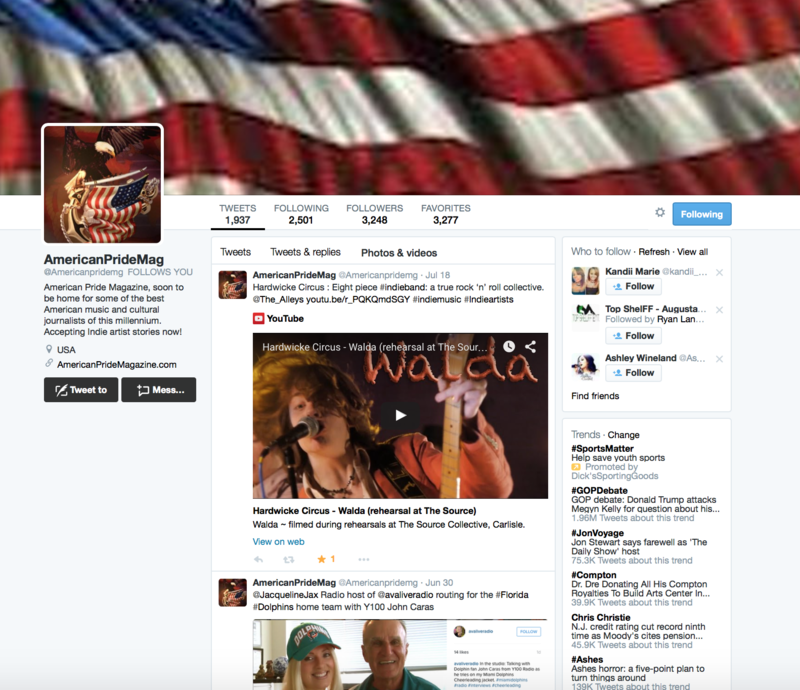 I like social media because it gives independent artists and bands a platform to stand on. 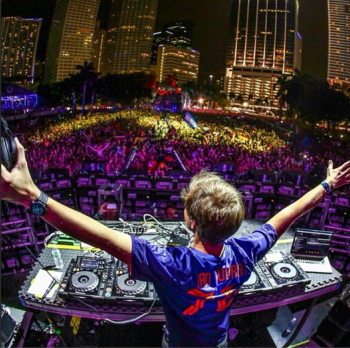 You can make your music, build a fan base and create your own opportunities. reggae, dub, gospel and DJ music while growing up in Jamaica. I developed an interest in writing poetry while attending Primary and High School. I was highly influenced by the conscious and positive music and lyrics by a Jamaican Dub-Poet called Mutabaruka and the social commentary and uplifting music by Peter Tosh, Bob Marley, Big Youth, Jimmy Cliff, Burning Spear, Culture and many other Jamaican reggae artists. I have many things to say and started to express myself with poems. I started performance poetry at High School. After leaving High School I pursuit a career in Health/Fitness and became a Professional Fitness Instructor and Personal Trainer, but music and poetry was always burning inside and I kept on writing songs and poems some of which has been published in books and magazines. This song is a lamentation about the present system of things such as failing governments, war , pollution, crimes and injustice, social and political upheaval. Genesis is a song to make you stop and reflect. 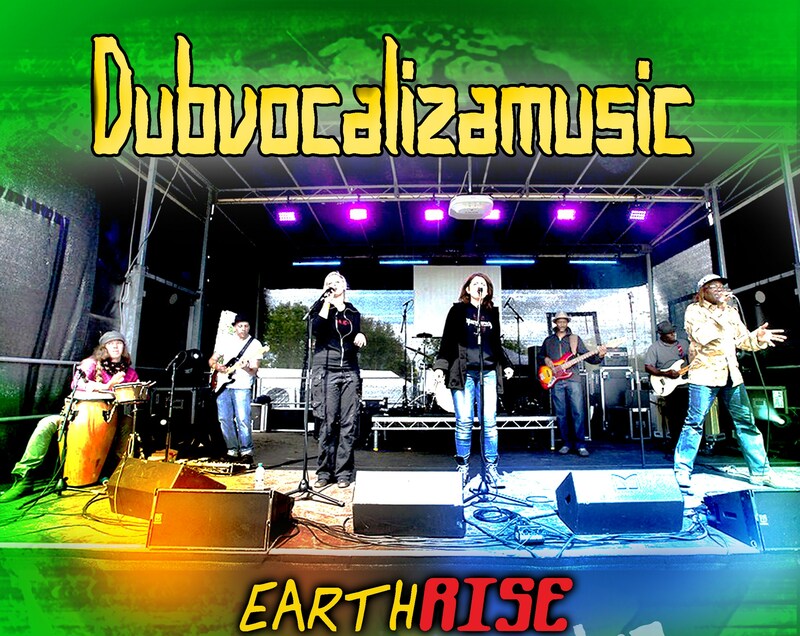 Dubvocaliza music is about oneness, peace and universal love. You can expect to be inspired and to think on a different level. Our music addresses the issues that mattes in today’s world from the personal to the political, it touches on all aspects of community life. Our music reverberates with to the downtrodden, gives spiritual awareness and redemption. 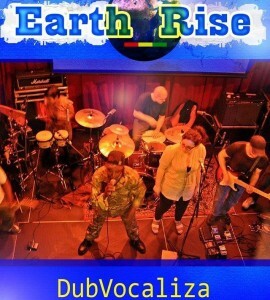 Earthrise is a pulsating, debating and entertaining album. It is hard hitting and every song in the album strikes a cord somewhere with someone. This album has important significance to the band who had worked tirelessly in the studio to make it happen. What’s great about it ,is that ,it is explosive with highly imaginative and original songs, educating and entertaining at the same time. We are expecting this album to be heard and seeing in a positive light, just the way it is. All the songs have a sense of purpose and relates to everyday life. Our mission would be accomplished if all our fans worldwide will thrill to our music and download the album from our website. It will also be available on all other music outlets. where the music scene is vibrant and gigs are happening all over everyday of the week . The venues are endless with a large variety of music . I would like the band to have a massive tour bus and to tour and play in all the 27 members states on the European Union. That’s a tricky question because there’s lots of people that I would like to spend 5 minutes alone with. I must say Peter Tosh because he is one of my great inspiration. I admired the fact that he was a musical revolutionary . He was on the side of the oppressed and stood up for truths and rights. He was not afraid to speak his mind and he didn’t conform to Babylon’s system. One of his song ( Oppressor man) is one of my favorite songs. His lyrics in that song is poignant : ” Everyone is crying out for peace , none is crying out for justice but there will be no peace until every man got equal rights and justice. Yes I find that there is a tread nowadays, but I don’t follow fashion, I don’t go with the flow. I designed my own life fashion and make my own destiny. In our song (Genesis) I wrote the lyrics that the present system is moving too fast, and I will not run or join their races so take me back to genesis. Being an independent band has given us the freedom to make our own artistic decisions. the future that awaits my children.